Plastic skylights shall be Dur-Red Products, low silhouette Self Flashing Skylight Cat. No. _________ as manufactured by Dur-Red Products. 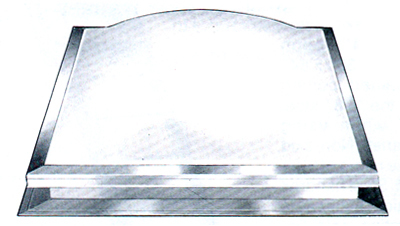 The skylights shall be factory assembled units each consisting of a one-piece acrylic plastic dome formed from white translucent or clear colorless acrylic material, self flashing curb frames with 2 3/4" roof flange ready to provide for nailing to roof deck.